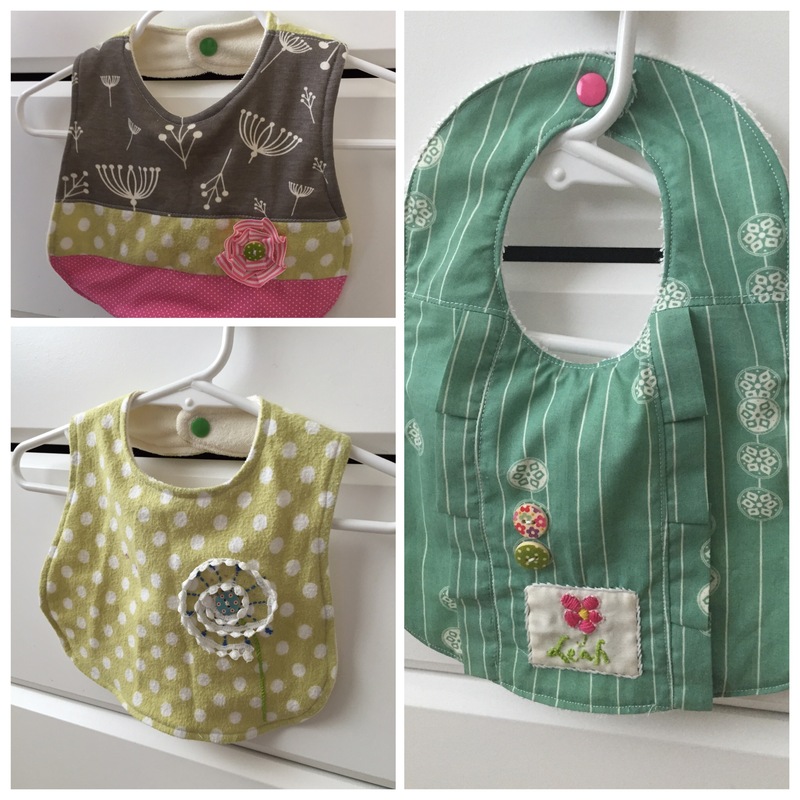 More bibs – Have a fun day! Because you can’t have too many bibs and because I am crazy. I realized there is no point in getting cute tops for my daughter because they would just be covered by bibs. 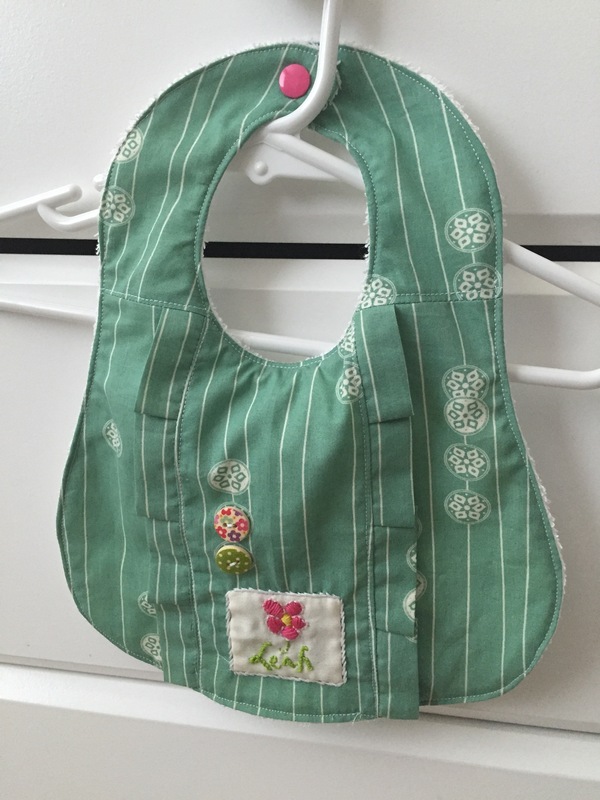 Since this discovery, I changed my focus on cute and adorable bibs. This here is my favorite bib! Looks great over a t-shirt and jeans. The design was inspired by Nana Company. Upcycled bibs, bibs with pathwork, bibs with ruffles, bibs with applique, bibs with embroidery, you name it, I probably made one. What am I gonna do when my daughter finally outgrows drooling?! !